However, Firefox will timeout in such cases and possibly hang. In order to workaround this problem, we can set few DOM preferences available in Firefox. Below are the steps that I used to resolve similar kind of problem with Firefox. 2. Type in “dom” and look for “dom.max_chrome_script_run_time” and “dom.max_script_run_time” and set this values to more than 30(seconds by default) e.g. 60 or 120 seconds. This workaround has worked for me. Are there are any other workarounds that you know? then please post it in the comments below. Note: We at TechSutram take our ethics very seriously. More information about it can be found here. Never miss an update. Subscribe and follow to stay informed. We hate spam too, we will never share your details. 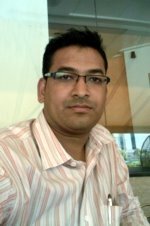 Mandar is a seasoned software professional for more than a decade. He is Cloud, AI, IoT, Blockchain and Fintech enthusiast. He writes to benefit others from his experiences. His overall goal is to help people learn about the Cloud, AI, IoT, Blockchain and Fintech and the effects they will have economically and socially in the future. NOTHING on this website should be construed as financial advice or a solicitation of investment. Digital currencies and tokens are emerging technologies that carry inherent risks of high volatility. We strongly recommend that you consult your financial advisor before investing, speculating or trading in any currency, digital currency, or security. Decisions based on information contained on this site are the sole responsibility of the user, and in exchange for using this site, you agree to hold Sutram Internet Private Limited and/or TechSutram and its partners, owners, authors, and affiliates harmless against any claims for damages arising from any decision you make based on such information. See full terms and conditions for more. TechSutram brings you key insights, analysis, and guidance on the latest in Blockchain / Cryptocurrency, Cloud computing, Artificial Intelligence (AI), Internet of Things (IoT), and Startups in these verticals, under a single umbrella. "TECHSUTRAM" wordmark, logo graphics are registered and owned by Sutram Internet Private Limited. Property of Sutram Internet Pvt. Ltd.